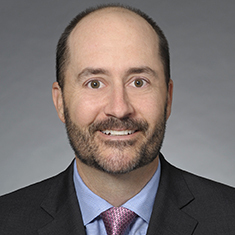 Mitch Sprengelmeyer, a partner in Katten’s Structured Finance and Securitization practice, represents issuers, underwriters, placement agents and investors in asset-backed securitizations and other structured finance transactions. He has extensive experience with retail auto loans, retail auto leases, dealer floorplan finance receivables, retail equipment loans, retail equipment leases and credit card receivables. He also has worked on transactions involving commercial mortgage-backed securities. Mitch works on major types of structured finance transactions, including public and private domestic and cross-border offerings, term note and variable funding note offerings. In recent years, Mitch has focused his practice on secured warehouse lending facilities, representing funds and other institutional investors and borrowers in the financing of portfolios of auto loans and leases, equipment loans and leases, consumer loans, commercial loans and merchant cash advances. Mitch is involved in regulatory and advocacy matters affecting the structured finance and securitization markets, including those arising from the Dodd–Frank Wall Street Reform and Consumer Protection Act and Regulation AB II, and is an active participant in industry trade groups such as the Structured Finance Industry Group. He has assisted with the drafting of several regulatory comment letters on behalf of a group of 19 captive and independent vehicle finance companies relating to regulatory initiatives. Shown below is a selection of Mitch’s engagements.